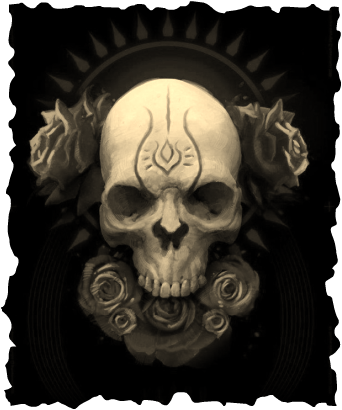 Let The All Almighty Light of our Santisima Muerte Change your life.Ever wanted to Achieve all your goals? Ever wanted to have your dreams come true and be two steps ahead of your others? Then this is your Chance! With the Purchase of this Pact You will get a Santa Muerte Statue Blessed and Consagrated for your Specific Needs and an Amulet for you to Carry. After Submitting your Payment Please Fill Out This Form. 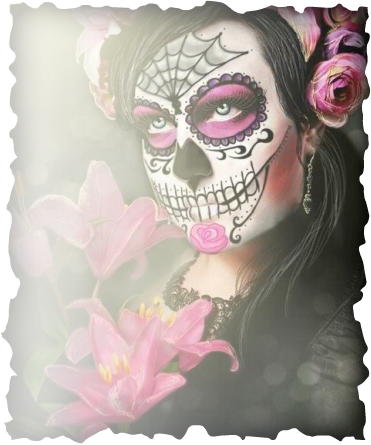 Provide us with a breve description of your situation so we can Cast The Santa Muerte Spell of Your Choice. Scroll Down and Choose The Spell that suits your situation better. Blessings! 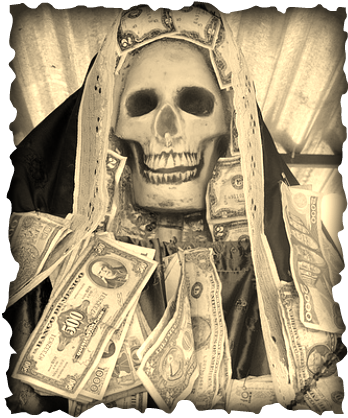 With the Help of the Santisima Muerte, our Spell will bring Money into your life. This spell is ideal for anyone starting a new business, needing extra money or just seeking for new money opportunities. With her help success will come to you as you will be protected and free of worries. 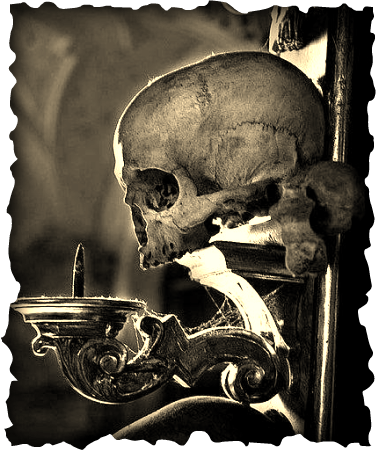 Allow Santisima Muerte to come to your life and she will provide you with what you need. A talisman will be sent to you after this Spell is Cast when choosing our Triple Cast Option. Include your a breve description of your current situation and your goals on the form provided at the upper right corner of this page. This Spell is designed to help anyone suffering from addictions or who is battling with bad habits such overeating, smoking, drinking lying, swearing, substance abuse, drugs and more. For this Spell a Picture and Full Name and Date of Birth of the person is Necessary. This spell is Cast during the Waning Moon, therefore you will be notified when this spell will be cast. You will receive an Amulet and the printing of the picture you will send us to cast this spell. If Pictures are not available you can send us hair or a piece of clothing we will e-mail you with the address you can send these items. Is someone getting between you and your husband/wife? Are you a victim of envy? Is your spouse trying to leave you for another person? 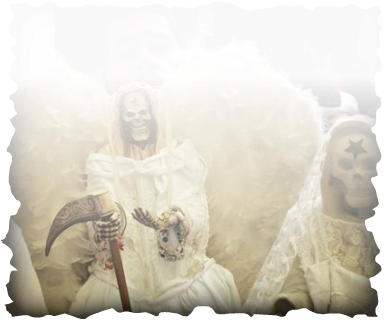 No need to worry, Santa Muerte is on the Case. 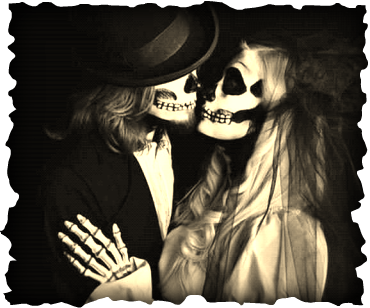 This Spell will ensure happiness is back in your marriage. All obstacles will be vanished while harmony and prosperity will invade your home. This spell is designed for Married Couple Only and Can Be Cast up to 3 upon request. Is there someone your heart wants? Then this spell is for you make this person love you and desire you 24/7 become extremely infatuated by you regardless of Sexual Orientation and Relationship Status. All we need is full names dates of birth and pictures. If you wish to make this spell stronger hair or a piece of clothing from your Target will intensify this spell . Items will be returned after the spell has been completed. Santisima Muerte heals her Children with Her Divine Light. If you have a love one going through a difficult situation we are here to help. This spell can also be used to prevent illnesses or to improve someone's Health. We will need a Picture and the Date of Birth of the person we will be using this spell for. We will provide you with a Talisman with your purchase and you have the choice of have this spell cast up to three times. This spell is for Santa Muerte to Punish your Enemies by Vanishing them and making sure they will never harm you again. This spell won't kill them, but will remove them from your life. You can choose from Vanishing them to designing your own revenge upon them to receiving protection so no more hidden enemies come your path. All you need to do is choose the Kind of DEATH TO MY ENEMIES spell you wish to get by choosing the option that fits your need on the drop of menu of the Buy it Now Option. 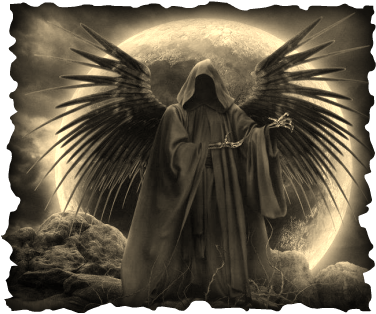 With this spell you can request the help of Santa Muerte for any particular Situation that may not be listed on this page. We will cast the spell that fits your particular needs and you can have the choice of choosing how much intensity you want to put it by scrolling the buy now menu. Remember to include as much information as possible as well as pictures and items.